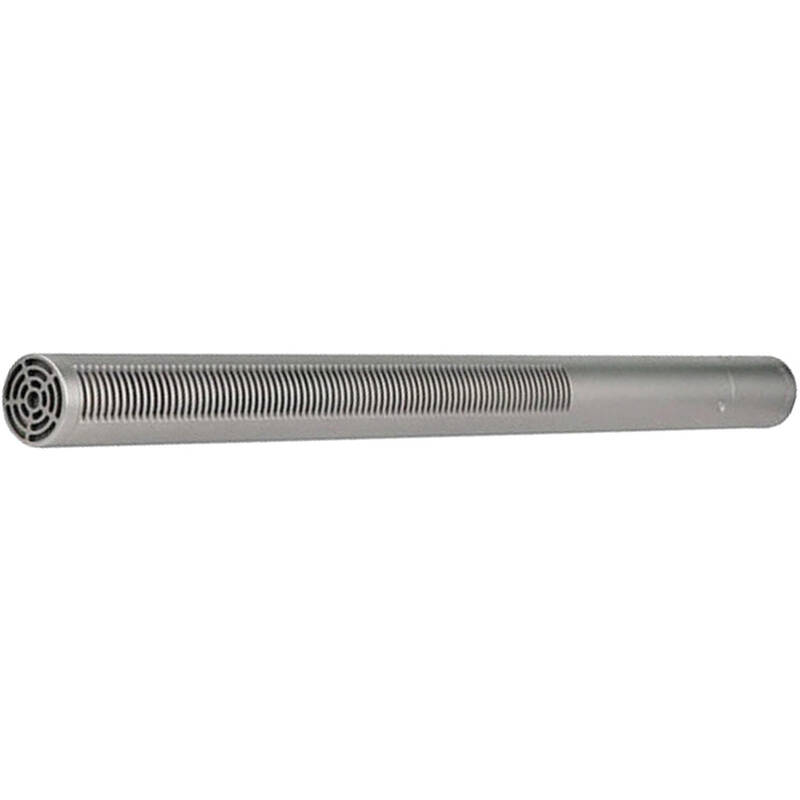 The silver Rode NTG3 Shotgun Microphone is a professional shotgun microphone that delivers a few unique qualities in order to meet the demands of today's broadcast audio engineers and boom operators. The microphone features radio-frequency (RF) interference properties that avoid annoying noise and interference caused by nearby RF sources such as radio antennas, WIFI networks, internet devices, power lines, etc. The microphone is also built to withstand the rigors of adverse weather conditions. Box Dimensions (LxWxH) 12.7 x 5.7 x 3.1"
NTG3 Precision RF-Biased Shotgun Microphone (Silver) is rated 4.8 out of 5 by 95. Rated 4 out of 5 by Doug from The Poor Man's 416 I purchased the NTG-3 primarily as a back-up mic should either of my Schoeps have issues on location with humidity. The NTG-3 is virtually impervious to humidity and adverse weather conditions. So when the going gets tough--weather wise--this is my insurance policy I will be able to complete the shoot. It's nearly identical to the Sennheiser 416, but with a more forgiving pattern. I would not say it is equal to the 416, but it is close enough in my book to do exactly what I need it to do. RODE also includes a great mic storage tube! Overall, a very solid mic at a really great price! Rated 5 out of 5 by KCCO5631 from Great mic in all conditions As soon as I bought it I took it out for a shoot - it performed amazingly well. So much better than my other shotgun mic. This first shoot was interior so everything was crystal clear. I decided to see how it did in higher ambient noise areas, so I took it down to Magnolia Bluff in Seattle and recorded there with my H6. It's always windy there, but the mic with a dead cat did a great job of cutting wind noise. Primarily this mic will be moved on film sets, both internal and external, so it's good to know it'll move between both well. Only drawback is the price point, but as far as I'm concerned, it's well worth the price. Rated 5 out of 5 by xfater35 from Rich sounding with little or no noise I was frankly blown away by the rich tonal quality of this microphone for my production purposes. I've watched a lot of review videos and read some reviews elsewhere and I am impressed by the quality of this microphone that costs less than the industry standard Sennheiser MKH416. I've also listened to tests with the Sennheiser MKH416, but this is a better value for the money. Rode has done a phenomenal job on designing and building this microphone. The cylindrical case that comes with the microphone needs to be better designed though to slide the microphone in and out for easy access and storage. Rated 5 out of 5 by Sound and Motion from Just buy it In the industry the NTG-3 is what is known as a hot mic. That means it has a very strong and robust signal; and because of that you will be turning your levels down a lot This is a good thing. as you turn your levels down you also lower the noise floor (this mike has a low noise floor to begin with) so the mic will deliver a very clean signal. My advice save up a little more money and buy the NTG-3 you won't be sorry this mic delivers. I should point out that the nkg-3 needs phantom power there is no battery so be certain that your camera, preamp or recorder can provide phantom power. Rated 5 out of 5 by Joshua from Great Mic We got this microphone almost a year ago for a run and gun documentary team. We use it on the shotgun mount of a Canon C100 MKII and sometimes on a boom for interview audio. Granted, I'm a shooter and an editor more than an audio guy, but in my opinion this microphone has performed as well as any more expensive mic I've ever borrowed or edited audio from. If you are trying to get the most bang from your limited bucks, you won't go wrong with saving money and purchasing this microphone over a Sennheiser counterpart. It's not the mic I wanted for our kit, but I've been pleased and surprised and now I love it. Rated 5 out of 5 by sam p. from Great Sound, Classy Package I must admit, before purchasing this mic I did some extensive research on the best kind of shotgun/boom mics for video work. After seeing several professional endorsements for the NTG-3 I decided it would give me the best overall quality and flexibility for what I do. I've only had it for about a week now and I pair it with Sound Device's 302 portable field mixer, and the sound quality is pretty incredible. It is so crystal clear, especially if you're recording sound effects and getting close to the action. It also works great for picking up vocals from interviews and narratives. Overall, I'm very happy I chose this mic. Rated 5 out of 5 by Anonymous from Really good shotgun mic I am a writer, director, and producer of Independent films and have had the oportunity to work with many different shotgun mics on set. The Rode NTG-3 is the best in its price range because it's clean, clear, and rich with perfect dynamic range latitude for Boom Operators with varying degrees of experience. The NTG-3 is forgiving for less than perfect placement while catching full, natural sounding dialogue. When you factor in all the variables of what is needed to capture great audio on the set of an Independent film, you'd be hard pressed to find a better shotgun mic for the price than the Rode NTG-3. Rated 5 out of 5 by Avanti from I am happy Quite nice. Good clean pick up. I wanted something that had a good off-axis rejection and a bit WIDER pick up pattern (as compared to MKH 416). This mic has both. I am no audio expert, however, I did this experiment. Stood about 3 ft away from the mic, then moved about a foot and half to my right, and to my left. Didn't notice much of a difference. Also, the room noise was minimal. Is there a big sound quality difference between the NTG2 vs. the NTG3? There are certainly marked differences that warrant the wide price differences. The NTG3 is designed for the broadcast or film professional and is well suited for outdoor use. That said, the NTG2 is an excellent entry level shotgun and serves well for wedding and event videography as well. ------------- NOTE:-----------------The microphone features radio-frequency (RF) interference properties that avoid annoying noise and interference caused by nearby RF sources such as radio antennas, WiFi networks, internet devices, power lines, etc. The microphone is also built to withstand the rigors of adverse weather conditions.Of course special attention is paid to the accurate, directional pickup characteristics and its frequency response, sensitivity and low noise floor, which result in pristine audio quality. 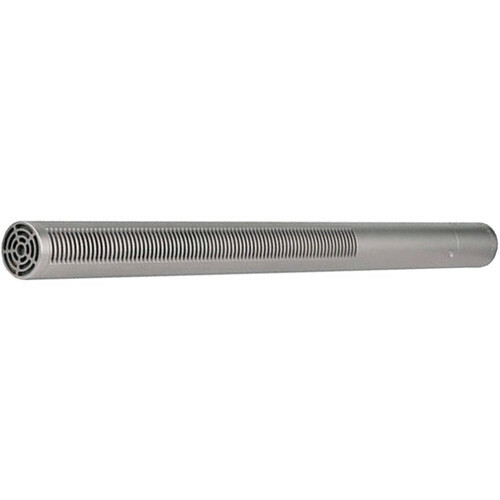 The NTG3 shotgun microphone is an ideal solution for outdoor ENG and studio applications. How well does the Rode NTG3 pair with the Tascam Dr-701D or Dr-70D? Is the quality of the results great to justify buying it or would I be better off getting an Audio Technica mic? The NTG3 will pair well with either recorder. It is more a question of whether your project, style, or budget is suited/comfortable with this microphone. That said, Audio-Technica offers comparable microphones at a similar price point. Would this be good for podcasts? Hello Kelly, The short answer here is, not typically. I say this because the NTG3 is a very directional, supercardioid microphone. What this means is, it is designed more for isolating at various distances and not so much for direct, close audio. If you do use this microphone in tight you can also hear variations in the volume and sound. What I recommend for this application would be the Rode NT-USB or Complete Studio Kit. If you're looking for the most value, look into the new Rodecaster Pro and PodMic. Happy Podcasting. Does this fit in the Sony FS5 mount holder out of the box? I have both. it does not fit out of the box.I simply wrap the mic in peice of neoprene then put in the mount. works good for me. BTW mic sometimes gets in the shot when deadcat on and on wide lens. Does this come with a shock mount? It's listed as a free item that comes with the set, but it's NOT listed on the in the box tab. Does this mic have stereo recording? No, this is a single mic and only has a monaural pickup pattern.If you want to do stereo recording you will need two of these great mics. sennhiser mkh 416 vs this? Both great mics! I have 2 NTG3's and what I love about them are they have a little wider pick up pattern the MKH 416 so If I need to mic 2 people it's easier. It's a great sounding Mic that I've put through every shooting scenario and it keeps on ticking! Answered by: Gayland R G.